A job interview is a delicate stress situation in which one can easily put one’s foot in one’s mouth as an applicant. We don’t want you to drop a brick in your next job interview, which is why we have put together a list of the 10 worst mistakes that you can make in an interview. It goes without saying that you have to appear on time for your job interview. 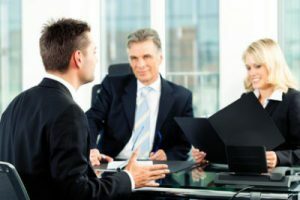 Personnel managers generally equate unpunctuality with unreliability and this character trait will certainly disqualify you from just about any job. In our last blog article, we have already introduced you to the most common and important tasks at an assessment center, and have given you useful tips and tricks on how to master them. 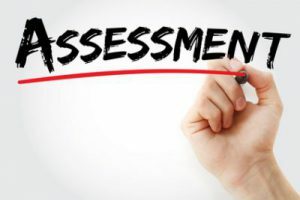 In order to round off our topic—“assessment centers”—in this article we want to give you some general pieces of advice with regard to the question of how to be successful at an assessment center without fear and stress. Sounds like an absolute no-brainer, but nothing is worse than showing up too late for the beginning of an assessment center. That won’t help you collect any bonus points from your possibly future employer. So please inform yourself in advance how best to reach the location of the assessment center and how long you would need to travel there. Since you can quickly get stuck in a traffic jam or suffer from a train cancellation, make sure to allow for a time buffer, so that you arrive as relaxed as possible at the venue and not dripping with sweat. 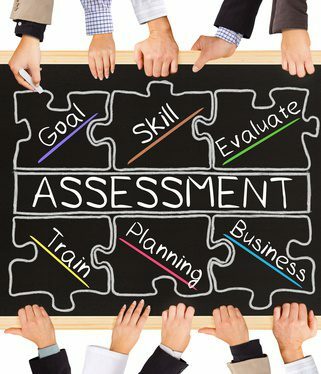 An assessment center certainly comprises one of the toughest selection methods for job applicants. Typically, this form of employee recruitment is chosen by large companies, as it offers them these advantages: They can meet and select a large number of suitable candidates in a relatively short period of time. 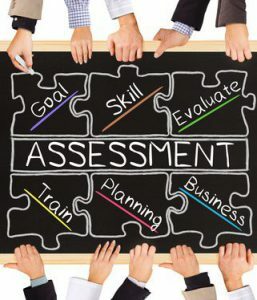 That is why an assessment center quite often takes place in a company’s headquarters or training facility, and generally lasts for two to three days. For applicants, an assessment center is very stressful (the author speaks from experience). In contrast with a normal one-to-two-hour job interview, in which the candidate’s resume is the main subject of the conversation, at an assessment center, candidates have to complete a series of individual and team exercises lasting several hours, with many of them under deadline pressure. No wonder that one’s own mental limits can easily be reached. Listing interests in your CV can help you make a better impression. Listing interests in a CV tends to be an awkward exercise. Conventional advice has been to exclude this section completely. Yet, having an ‘Interests’ section can help make a positive impression on your potential employers. Companies today look for well-rounded employees—not just coffee-guzzling, phone-answering, couch potatoes. Listing interests in a smart way can set you apart from other candidates. Provide all the necessary information when naming employers. Naming employers correctly is crucial when sending out applications. Knowing the organizations you have worked for allows potential employers to gauge your suitability for a position. Your CV needs to provide certain details about your current and prior employers. But there are do-s and don’t-s in this regard. Let us look at some of these.